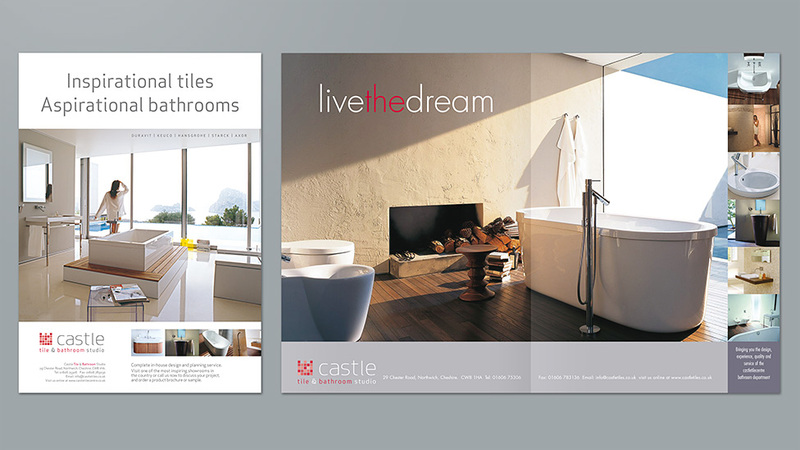 Having successfully developed Castle Tile & Bathroom Studio brand style across their product brochure and stationery, we were asked to create a series of designs for a magazine advertising campaign for the Cheshire Life publication. Using both single page and double page spread formats, we developed the stylish and established corporate brochure design into suitable advertising layouts. The designs for the magazine advertising featured a series of eye-catching lifestyle photographs, aimed to inspire the target audience. Combined with the chic modern typeface and clean design style, the adverts suitably reflect the ethos and product range of the contemporary business.